In 2017, the Nobel Prize in Physics was awarded to Rainer Weiss, Barry C. Barish, and Kip S. Thorne from the LIGO/VIRGO Collaboration for their contributions to the Laser Interferometer Gravitational-Wave Observatory (LIGO) and the historic first detection of gravitational waves. 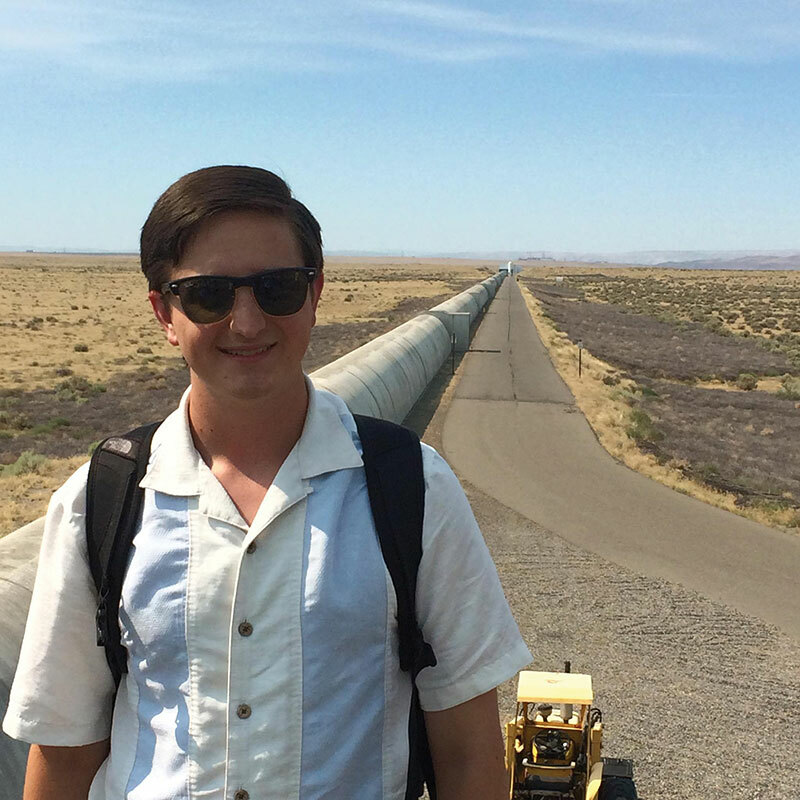 Scientists around the world celebrated, including then-undergraduate physics students Hunter Gabbard, Jasmine Gill, and Jonathan Wheeler, who were among the more than 1,000 scientists working on LIGO at the time of the discovery. Here, they share their thoughts on what it was like to be part of this monumental achievement. LIGO involvement: Studied the detection of noise/glitches and analyzed data at the University of Mississippi, Laboratoire de l’Accélérateur Linéaire, and at the University of Texas Rio Grande Valley. 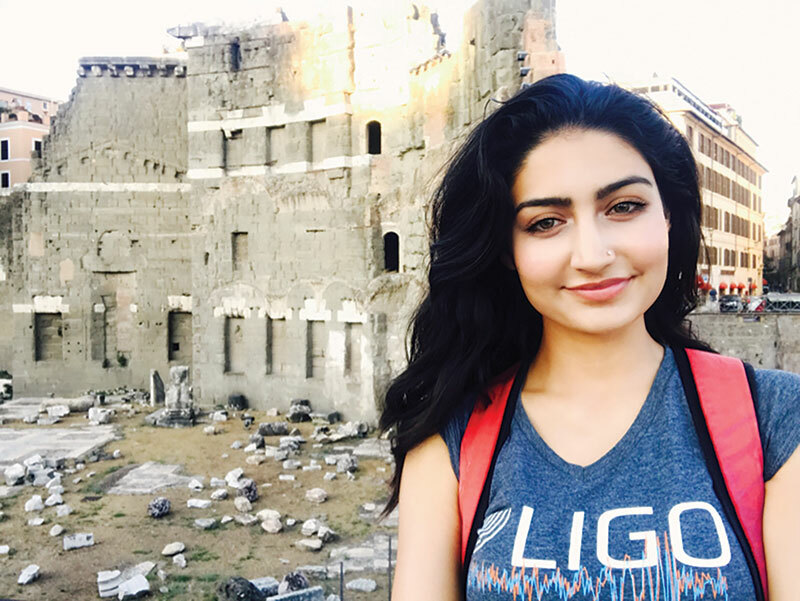 Current position: Astrophysics PhD candidate at the University of Glasgow in Scotland studying how machine learning can be applied to the LIGO search for black holes, neutron stars, and supernovae. My interest in LIGO research began the first week of my freshman year. 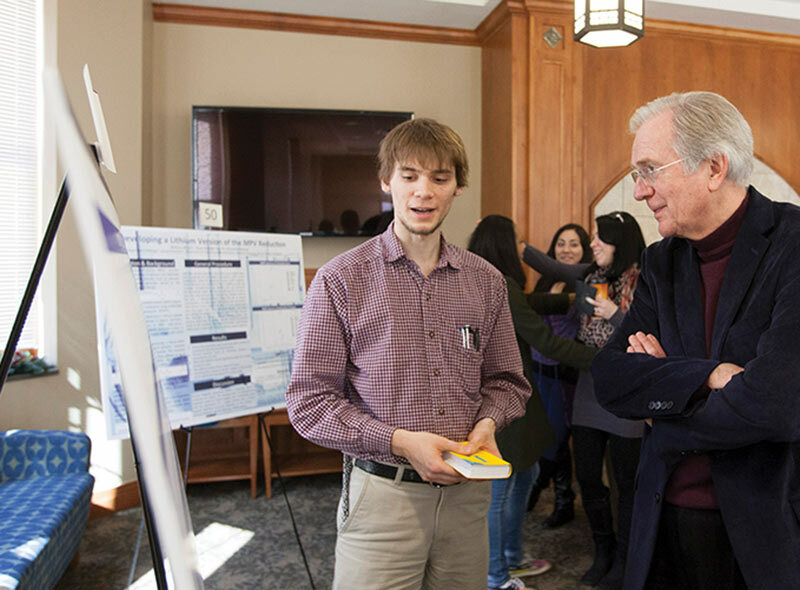 I remember casually walking by a LIGO poster in the hallway of the physics department and thinking to myself, “Wow, that sounds like an incredibly audacious experiment.” I went to Dr. Marco Cavaglia, the person who would eventually become my undergraduate research advisor, and asked how I could get involved. My experience working in the collaboration was, and continues to be, a major driving force in my career. The experience yielded many benefits that I didn’t anticipate. Given that LIGO is such a large collaboration, with over 1,000 scientists and engineers, I have had the opportunity to work with people from diverse backgrounds. I’ve found that the connections I fostered early on gave way to many interesting research projects later in my career, most recently to a Fulbright Fellowship at the Max Planck Institute for Gravitational Research in Hanover, Germany. 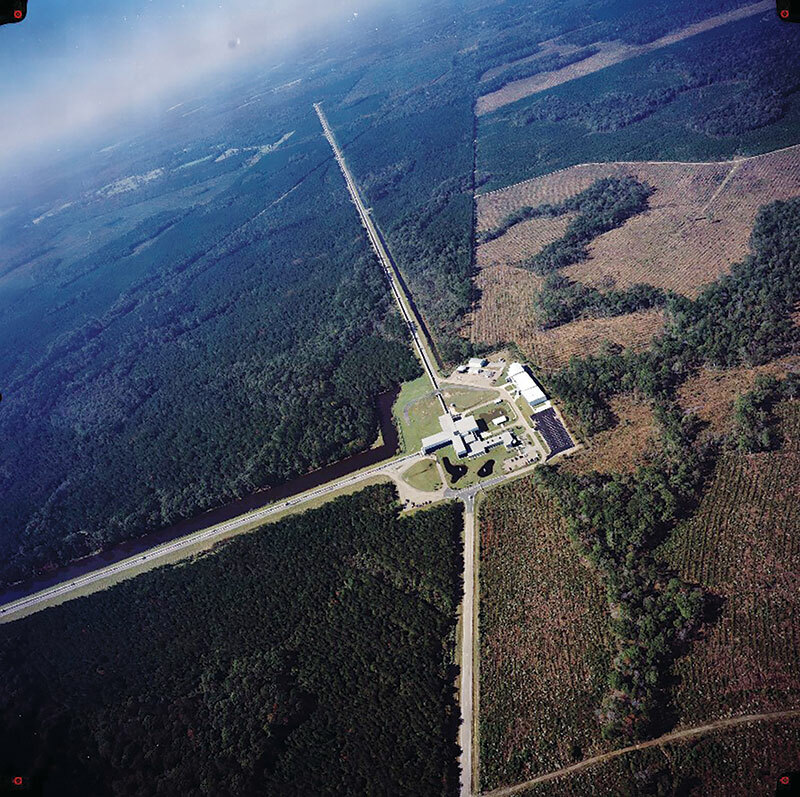 LIGO involvement: Studied the gravitational waves from core-collapse supernovae at Embry Riddle Aeronautical University, California Institute of Technology, Massachusetts Institute of Technology, and Carnegie Observatories. Current position: Astrophysics PhD student at Harvard University. Being involved in LIGO presented fruitful opportunities I could never have dreamed of. I became a bridge between the LIGO astrophysics and the astronomy communities, introduced my own supernova waveform at the age of 20, and helped provide the supernova science case for third-generation detector networks, which will be even more sensitive to gravitational waves than LIGO. I was the youngest author on the initial discovery paper. LIGO has been an integral part of my growth as a scientist and I am happy to have found a home in this scientific community. When I heard that the collaboration had detected gravitational waves, simply put, I felt blessed. I couldn’t believe what I was reading. I didn’t feel the full impact of being part of the discovery until the pioneers who dared to dream this dream were awarded the Nobel prize. I was a young scientist standing on the shoulders of giants. LIGO involvement: Developed educational games for use in science fairs and elementary and high schools at Andrews University. Current position: PhD student at Stanford University, researching laser-driven fiber optic gyroscopes. On the day of the big announcement, the labs of our general physics classes were cancelled so we could all witness the event. We had root beer floats to hand out if the LIGO Scientific Collaboration formally announced the discovery of gravitational waves. Everyone was taking bets on whether they would announce the discovery right off the bat, tease the audience a little bit, or not announce anything at all. I was thrilled as everyone cheered when David Reitze, the executive director of LIGO, announced simply and plainly, “Ladies and gentlemen, we have detected gravitational waves! We did it!” It was a fulfilling experience to be part of a Nobel-prize-winning discovery.